The disruption is due to emergency repair works at a water treatment plant. The disruption will be caused due to Splash, the operator of the Sungai Selangor Phase 3 (SSP3) Water Treatment Plant, carrying out critical equipment repair works on Tuesday, 6 March, for a period of 10 hours from 8am to 6pm﻿. "The repair works will result in a total plant shutdown," Syabas said in a statement. According to Syabas, the plant produces 800 to 810 million litres of water per day. Due to this volume, the duration of water supply restoration to residents will differ from one area to another. The areas that will be affected by the shutdown are Petaling, Klang, Shah Alam, Gombak, Kuala Lumpur, Kuala Langat and Hulu Selangor. 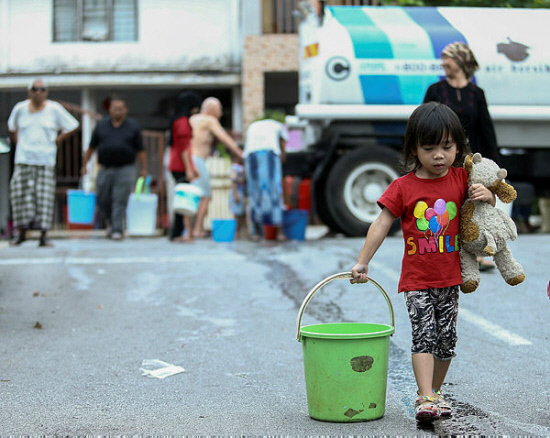 While Kuala Lumpur will be affected from 8am 6 March to 9pm 8 March, Petaling will face water supply disruption from 8am 6 March to 9pm 7 March. Hulu Selangor will be affected from 8am 6 March until 9pm 7 March, and Gombak will be affected from 8am 6 March to 12am 8 March. Klang/Shah Alam will be affected from 8am 6 March until 9am 9 March, and Kuala Langat will be affected from 8am 6 March to 3pm 7 March. You can check Syabas social media pages for more information. You can also visit Syabas official website, here. She has lodged a sexual abuse report against the senior officer. The spy cam was hidden inside a plastic hook mounted on the toilet door.